Naeemah Dudan and Sanet Oberholzer attended the first-ever Comic Con Africa, this was their experience. South Africa became the first country on the continent to host Comic Con over three days on September 14 – 16 at the Kyalami Grand Prix Circuit and International Convention Centre in Johannesburg. Comic Con is an international event which brings together fans of popular culture including comic books, series, movies and gaming. In what the event organisers described as the biggest launch for the Comic Con franchise, #ComicConAfrica did not disappoint. 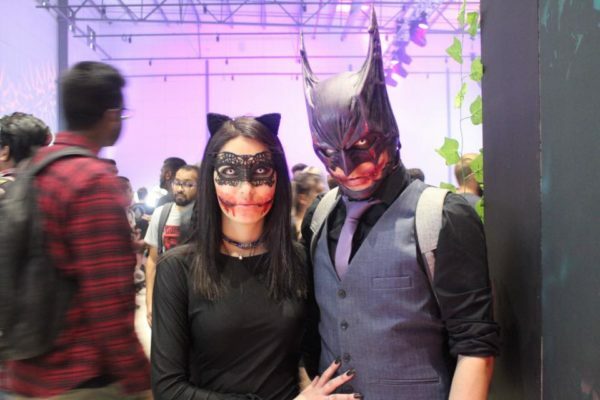 A subculture of Comic Con, costume play, or cosplay, is a performance involving self-made costumes, makeup and accessories to represent characters from comic books, movies, games and series. 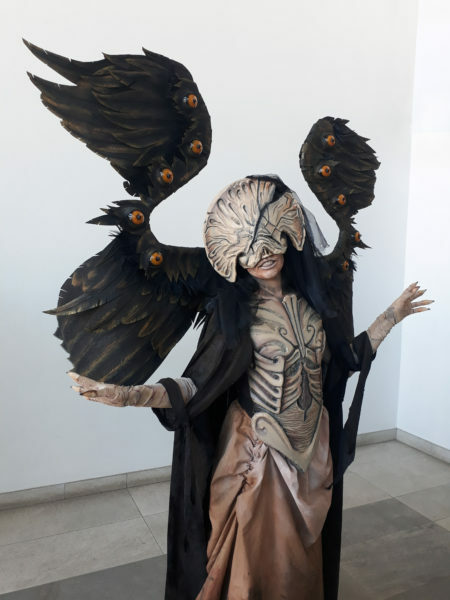 Going to #ComicConAfrica, we did not expect the level of cosplay to be as amazing as it was, whether professional or amateur. Although the people behind the costumes were unknown to us, their costumes portrayed the fierce and fiery roles of the characters they represented. “It’s like really fun, the coolest part is seeing the different costumes and cosplays,” Patrick Bennie, an attendee, told Wits Vuvuzela. When asked about the soaring temperatures the 16-year-old said that you learn to ignore the heat to look cool. One of the principles that the organisers championed before the event took off was the idea that cosplay is not consent – just because someone is in costume doesn’t afford anyone the right to abuse their space. We were stunned by the levels of diversity and intersectionality that the show had, uniting fans from different backgrounds, races, ages and genders. This was evident amongst the cosplayers as well as the wide range of panel discussions that took place throughout the weekend. Roaming the floors of the exhibition, we came across a friendly family of three dressed up: the mom as Luigi, the dad as Mario and the little baby as a Mushroom from the Super Mario Brothers. American comic book artist, Andy Diggle, had previously never thought about representing women in comic books but realising the role of women in the comic world made him think about what he could do to represent women as human beings in the world of pop culture. Touching on a wide range of topics, the panellists, in the same session, also discussed how mental illness is portrayed in comic books. One panellist, South African author Mohale Mashigo, made the point that mental illness is not as glamorous as it is portrayed in comic books. Adding to the range of diversity, the organisers kept it local by offering representation for South African comics such as Kwezi, Captain South Africa and Shaka Rising. In another panel discussion, the production team behind the new South African movie, The Tokoloshe, discussed the concept behind the thriller and their creative process in producing the film. #ComicConAfrica truly reflected the idea of a South African rainbow nation. It offered a space for every individual to express themselves freely without thought or fear of what the next person might think, opening the space to creative minds and people with the common goal of experiencing their fandom.